Victoria is a perfectly typey female! Excellent substance of bone, lovely head and head to toe fiber coverage. We appreciate her fine fiber, density, crimp from skin to tip, UNIFORMITY of micron and color, staple character, soft handle and brightness! 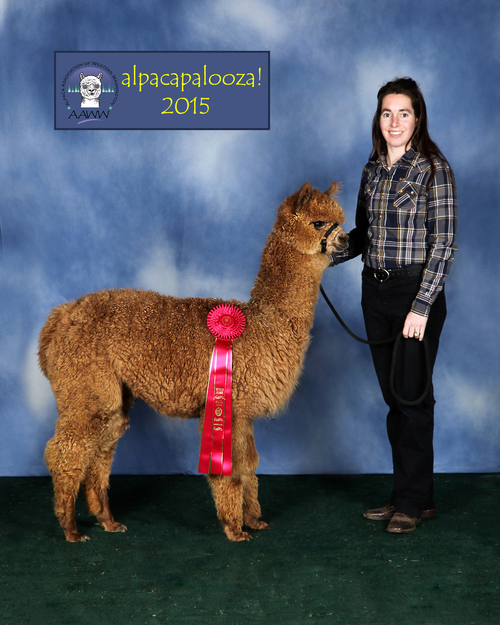 Victoria is in the top of our 2014 cria and in our Show string. 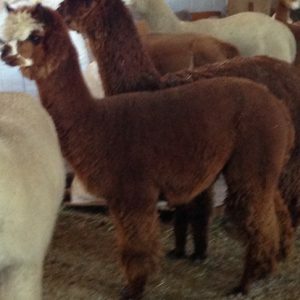 She is a gorgeous seed stock female who has the genetics to produce Champions. 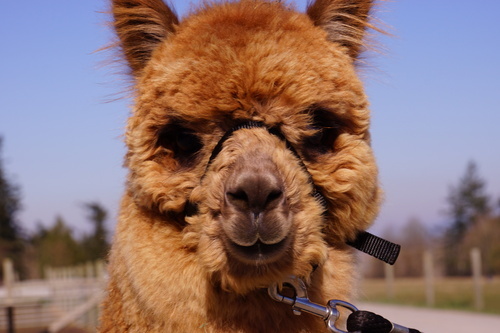 Victoria’s Dam is Patagoina’s Sunkissed Desdemona, one of our top Dam lines who has always produced quality cria. 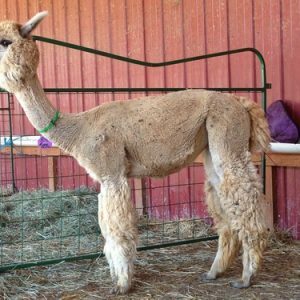 Desdemona also exhibits uniformity of color and micron, crimp, full coverage fleece and substance of bone. 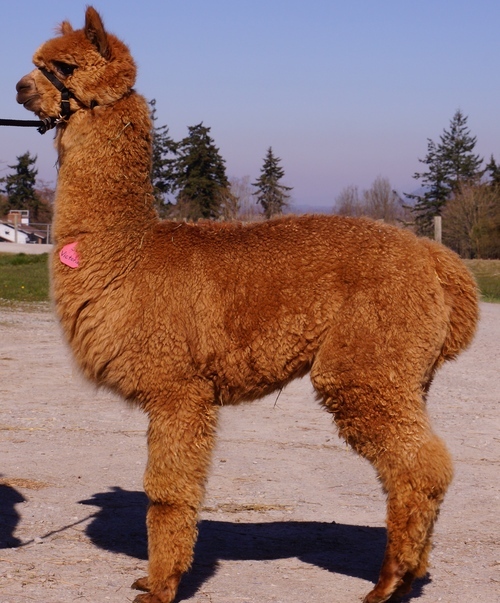 Sired by Patagonia’s Vittorio, a champion Male who passes density, low amplitude-high frequency crimp, Victoria exhibits the best qualities of both Dam and Sire. Sells with a breeding to any Herdsire at Sentinel Ranch. Open and ready to breed. Placed second on grant for finenest in class, but not the density of first placement. In a very large and competitive class. Judge comments- very competitive class, resorting to tiny differences. She exhibits fineness, density, substance of bone on perfectly comformed frame. 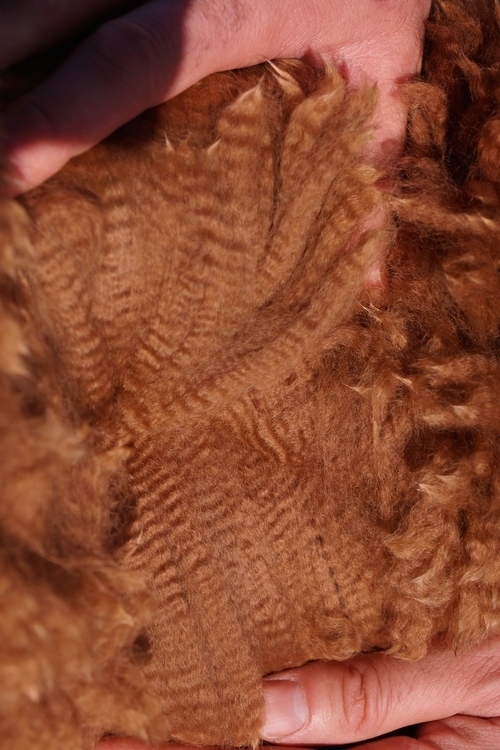 Fleece character and uniformity.